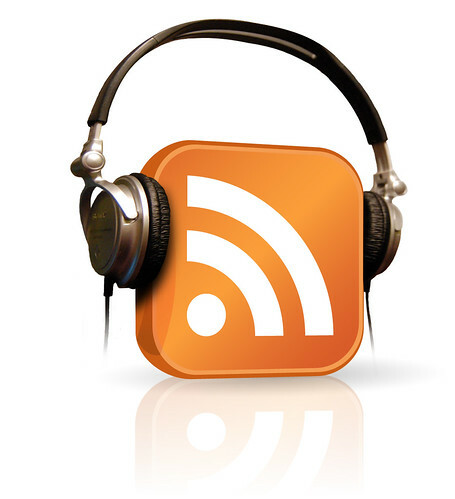 Why does inbound marketing with podcasts beat guest blogging? First, let’s look at why guest blogging is in our sites. One tenet of inbound marketing that worked very well for a lot of marketers over the years has been guest blogging. It’s genius, really. You create quality content that’s hosted on another site, linking back to your site with specific anchor text. This creates an SEO link and helps you reach a new audience that already trusts the site they’re reading you on… guest blogging helped a lot of marketers move the needle on visitor and lead goals. However, life moves on and strategies evolve to keep up with changing consumer behavior. For many people, writing is a chore. Whether you’re the CEO of an emerging brand, a speaker that’s so busy it’s difficult to write your to-do list or you’re an entrepreneur with a story you just love to tell… writing an article is basically homework. This “necessary evil” is likely at the bottom of your task list and keeps getting pushed down. Sure, having a guest article on a site with more traffic is great for links and visitors to your site, but you just can’t seem to find the time. Logically you know it works, but realistically you won’t get it done. This is why a podcast interview is so much better; you get to tell your story rather than write it. Isn’t talking generally much easier? Most podcast hosts create show notes for each episode. These notes accompany the show, and oftentimes live on multiple platforms. Hosts usually have their own website plus multiple sites for distribution. The more links to your site, the better (in general). A guest article has one distribution platform. Point: podcast interviews. We’re not saying the blogs are dying … we’re just saying they aren’t as powerful as they once were when it comes to growth. As the popularity of podcasts grow, those who put inbound marketing with podcasts will see great results. With more than 400,000 podcasts and more coming online every week, the opportunity to guest on shows continues to grow. Guest blogging becomes more difficult and saturated – that’s another point for podcast interview marketing! Which social media headline do you prefer: “Read this article I wrote for this site” OR “Listen now! This great interview features yours truly – I enjoyed it!”? As podcast hosts share your interview and you share it with your social networks, traffic to the episode and to your website will continue to grow. It would make sense for podcasts to do better in social media shares than articles when you think about how you consume media. The popularity of the podcast medium is growing and poised for major increases. Some of the most powerful websites when it comes to SEO are major media outlets. TV, radio and news sites all bring the big numbers when it comes to website ranking factors. While podcast interview websites are not TV sites, they are media sites. 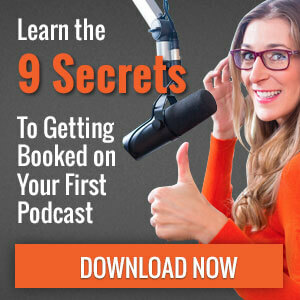 Plus with the connection to syndication sites, the SEO power coming to your website through podcast interviews simply continues to grow. In addition to the SEO factors, listeners of podcasts know that the shows they listen to are “media” and treat them as such. Blog articles tend to be seen in a lesser light when compared to media appearances. Guest blogging may not be dead, but it is falling in popularity and effectiveness; it’s bound to happen with almost any strategy. Inbound marketing with podcasts can help you add a new tool to your marketing and business development tool box when done well.